Love sports? Make your passion your profession with this guide that can help you score a career in the sports industry. The sports industry is wide and vast, and there are countless ways to get involved and make sports your job. From the popular careers of professional athlete, coach, sports broadcaster, and photographer, to the lesser-known professions of sports agent, statistician, sports therapist, and scout, So, You Want to Work in Sports? delves into a wide variety of possible futures that are exciting and rewarding. In addition to tips and interviews from many different professionals, So, You Want to Work in Sports? includes inspiring stories from young adults who are out there exploring different sectors, as well as games, activities, a glossary, and resources to help you on your way to a successful career in athletics. So, You Want to Work in Sports? 1 I Want to Work in Sports! But How? Close your eyes and imagine some fantastic moments in sports. For a sports fan, there are few things as exciting as hearing the powerful crack of a bat meeting a ball and watching the ball soar over the outfield wall for a home run. Or how about the sheer joy of a seeing a football player muscle his way through a line of defenders, shaking off tackles, the ball cradled in his hands as he runs toward the end zone and a touchdown? Perhaps you get your thrills watching sprinters fly down the track, their legs and arms pumping, or hearing the crash and clatter of skates and sticks as hockey players fight for the puck. Whatever your favorite sport, there are so many amazing emotions, feelings, sights, and sounds. It’s no wonder millions of people are rabid sports fans and players. Many people love sports and are content to sit on the sidelines, cheering on their favorite team, wearing their favorite athlete’s jersey, sharing the thrill of victory—and the agony of defeat—with their friends and family. Other people want to go even further. For you, just watching isn’t enough. Participating is the key to your sports joy. For you sports lovers, actually participating in the sporting world is the key to your dreams. If someone asks you to think of a career in sports, what’s the first thing that comes to your mind? If you’re like most people, you probably think of a professional athlete, like the Major League Baseball (MLB) or National Basketball Association (NBA) players you see on television. For a select few, becoming a superstar athlete on a nationally known professional team is a dream that comes true. However, that isn’t the only way to carve out a career in sports. In fact, there are many, many more people who make a living at sports and don’t appear on television. You can even have a career in sports without being particularly great at sports yourself! Sports are played at every level in society. Stop and think about your own community. Your local high schools probably have athletic programs that feature everything from basketball to swimming to cross-country and track. Then there are college sports, local leagues, and sporting clubs. Youth leagues bring young athletes together. So do community organizations like the YMCA and the Boys & Girls Clubs. Whatever your sport, there is probably a local or regional club or team that represents it. Do you love playing a sport? Do you enjoy the challenges of regular practice and improving yourself with each one? Does the roar of the crowd exhilarate you? Are you agile, fast, or strong? The arena, field, or court may be your workplace. Most of you who participate in sports are never going to be big league professionals making millions of dollars and flashing your smiles on television. But that doesn’t mean you can’t make a living playing sports. For every MLB team, there are multiple levels of minor league farm teams or independent teams. Players on these teams get to play ball every day, hone skills, and get a paycheck. Some of these players move up to the big leagues. Others stay in the minors. Either way, you still get to play ball for a living. Many people would consider that a pretty great lifestyle! There are also professional sporting options away from home. Many NBA players get their start playing for teams in Europe. The same is true for athletes in other sports, such as soccer. These players get to live in a foreign country, travel a lot, and be part of a team with fans. Some of them make a pretty good living too. Best of all, those of you who do this are working at what you love and getting paid for it. Dream Job: (Jodelle) When I am sixteen, I hope to qualify to represent the United States in an international rally, or competition. By the time I turn twenty-five, I want to be a Graduate “A” Pony Clubber (the highest ranking in Pony Club). I would like to go into a career with horses, possibly a horse trainer/riding instructor. (Abigail) I don’t know what my career goals are because I am only twelve, and I have a lot of options to choose from. My goals include, however, becoming an A Pony Clubber, which means that you have completed all the levels of Pony Club—in other words, you are a professional horse person. Passion is a huge prerequisite to winning. It makes you willing to jump through hoops, go through all the ups and downs and everything in between to reach your goal. What sports have you participated in and when? Jodelle: I ride horses. Most people think of it as more of a hobby than a sport, so I always ask them, “It is part of the Olympics, isn’t it?” There are many different disciplines in horseback riding. I have dabbled in others, but I mainly do eventing, show jumping, and dressage. In elementary school, I played soccer, but I dropped out when I moved to my new school. I’ve always been an athletic kind of person. Abigail: I played soccer when I was in kindergarten and a little in first grade, but I have always ridden horses. Even before I could walk, I rode horses. My mom would hold me on when I was about six months old and walk me around the arena on our pony named Rose. What are you doing now in terms of education/sports participation? Jodelle: I know that being a good horse owner is knowing as much as possible about horses. That’s why when I’m at school, and my teachers say, “Get out your books and read,” I don’t groan like my classmates. I take the chance to read about something that I know will further my career in the horse world. One time, I was reading a book about the anatomy of the horse, and my social studies teacher leaned over and commented that I always had the weirdest books; I just smiled and kept reading. I also take riding lessons every week and ride my horse at least four other days to keep us on track. During the summer I take my horse to camp to raise both of our experience levels. Abigail: I am studying for Quiz rally next year. Quiz rally is a competition were Pony Clubbers work together on a team to earn points by answering questions about horses. This year my sister, Jodelle, went to the regional rally [Northwest Region] and qualified to go to championships in Lexington, Virginia; next year’s championships will be in Lexington, Kentucky, and I hope to attend it. I am also going to horse camps and riding lessons. How did you get started in sports? Jodelle: I have been riding horses since before I can remember. And before that my trainer, Joanne, would carry me around in a baby backpack while she gave my mom riding lessons. I joined Pony Club when I was five years old and am still in it. Abigail: My mom has always had a passion for horses and rode when she was a kid up into her adulthood. So I think I got a lot of my love for horses from her. I’m pretty lucky to have a parent who’s so into horses just like me. Now she couldn’t get me out if she tried. Professional cowboys make the Pendleton Round-Up in Oregon a heart-pounding annual event. The Children’s Rodeo offers children with special needs, mental or physical, the opportunity to be cowboys and cowgirls for an hour of horseback riding, steer roping, and barrel racing inside the Round-Up Arena. What do you like best about sports? Jodelle: I love competing on a team with my friends—we become closer and have a lot of fun. Plus, my horse is sort of like a therapist, keeping me sane. When I’ve had a bad day and I need to just forget it all, I ride. It gives my mind something else to think about and puts me in a better mood. Abigail: I like building a relationship between the horse and me, getting to know what my horse likes and doesn’t like. I also like how the sport teaches skills that I will be able to use in life, like teamwork and responsibility. Technology is a big part of sports. Scientists and corporations conduct research and experiments to design clothing, shoes, and equipment that allow athletes to break speed records and perform better. Do you plan to stay in sports for a long time? Jodelle: I plan to continue riding for the rest of my life. I think it’s important to stay active, mentally and physically. Horses are a huge part of me, and if I just give them up, I would be giving up who I am. Abigail: Yes, I do plan to stay in sports for a long time because I love riding and my horse. I plan to pass on riding to my kids, so they can enjoy it and pass it on to their kids. Riding is my life. I would go crazy if I couldn’t ride. What advice or tips can you give young people thinking of a career in sports? Jodelle: Work at it, get connected, and be true to yourself. You won’t be successful by just sitting around dreaming—you have to work toward what you want. Get connected with people who work in that career, find people who could be potential help when you are getting started. Don’t go for it unless it’s really what you want for yourself, not just what someone else wants for you. Abigail: You have to love the sport and have a passion for it. If you don’t love it, then you will be unhappy and might not stick with it. You have to give it your best, and if you don’t enjoy what you are doing, then you won’t give it your best. Do you love watching others succeed—and knowing you helped them? Do you enjoy problem solving, planning, and leading? Maybe you don’t have the chops to be a professional athlete in the big leagues—here or in Europe. That doesn’t mean you still can’t be part of a team. It takes an army of people to keep professional teams and athletes running. For every team, there is a coach—usually more than one. For example, professional baseball teams have hitting coaches and pitching coaches. All teams have strength and conditioning coaches who work with players to improve their speed, stamina, and other skills. Maybe your gift is helping others be great athletes by showing them how to play better. There’s an old saying that no man is an island. Well, no athlete is an island either. Everyone needs support to be the best. And that means more jobs in sports—maybe one of which is just right for you! Coaches aren’t only needed at the professional level. There are probably dozens of coaches in your own hometown. Each high school and community team needs someone to lead it, to get the players to work as a team, to make sure each athlete performs to the best of his or her ability. Coaches have a big responsibility. Without a coach, teams and athletes could not function, and they wouldn’t last very long. If you are good at motivating people, at getting them to work together, at finding each athlete’s strengths and helping that person develop them, then coaching could be an amazing way to work in the sports field. Many coaches also double as teachers. You could be a physical education (PE) teacher in a school or community organization. This could be a great career if you like working with children, playing games, and helping young people have fun and stay healthy. Many coaches treasure the moments they share working with children and teenagers, and feel like they are shaping lives, not just athletes and teams. Or you could be a personal trainer, working with people who want to build healthier bodies. Perhaps you could start your own gym or exercise studio and train lots of people to stay physically fit. They motivated me as a young person. Why do you think it’s important for young people to get involved in sports? Involvement in sports teaches life lessons/skills. What was your professional journey? How did you get to where you are today? Collegiate sports led to physical education. My first teaching/coaching jobs led to lots of success and led me to believe I could do more for young people on a bigger stage. The day starts early and ends late with unanticipated challenges along the way. What education did you pursue to get a job in this career? What classes were particularly helpful? Physical/Health Education then Education Administration. The classes I took for my masters in counseling have been the most helpful when it comes to dealing with people. What work or volunteer experiences helped you gain experience and contacts as you moved up in your career? Several committee and community projects. Watching young people that I am familiar with compete. Working with coaches, parents, and administration. Who helped you the most in furthering your career and how? A college professor/adviser had confidence in me to achieve more than I thought I could. As a kid, did you think you would have this career when you grew up? Why or why not? What were your expectations? I had no idea. I was living in the moment. What advice or tips can you give young people thinking of a career in your field? There is a solution to every challenge. If you cannot figure it out on your own, do not be embarrassed to ask for help. Do you plan to stay in your career for a long time? If not, what do you think you will do after your career is over? At least thirty years. I will get back into coaching, officiating, and enjoying hobbies. What demands does your job put on your personal life? How do you deal with them? It takes a lot of time. I deal with this by making the most of my time away from the job. What is your salary or compensation? To be honest, if you broke it down hourly, I would earn more working for McDonald’s. What keeps me going is my love for the sport and the reactions I get when an athlete sees success. To me, that’s what it’s all about. In coaching and sports, you learn life lessons not just about a given sport. Do you love helping things run smoothly? Do you have good judgment, the ability to work well under pressure and make fast decisions, and a gift for resolving conflicts? Remember, athletes aren’t the only ones on the playing field. What about referees, umpires, scorekeepers, linesmen, and other sports officials? While many sports officials volunteer for local or regional events, some officials make it to the top of their game and work on major league events. They work their way up through the ranks, just like athletes do. Officiating can be a lucrative career. Believe it or not, a position as a top official is just as coveted as being the cleanup hitter or the starting quarterback. Imagine being a referee at the Super Bowl or an umpire at the World Series. What a thrill! Do you enjoy staying off the field while still being connected to it? Are you fascinated with how the body works and how to keep it working at its best? Are you good at science and health classes? Just like athletes can’t succeed without great coaching, they can’t perform well if they are hurting. That’s where sports medicine comes in. You might be surprised at the number of career options there are in the field of sports medicine. Physical therapists and trainers help athletes recover from injuries and maximize performance through exercise and diet. 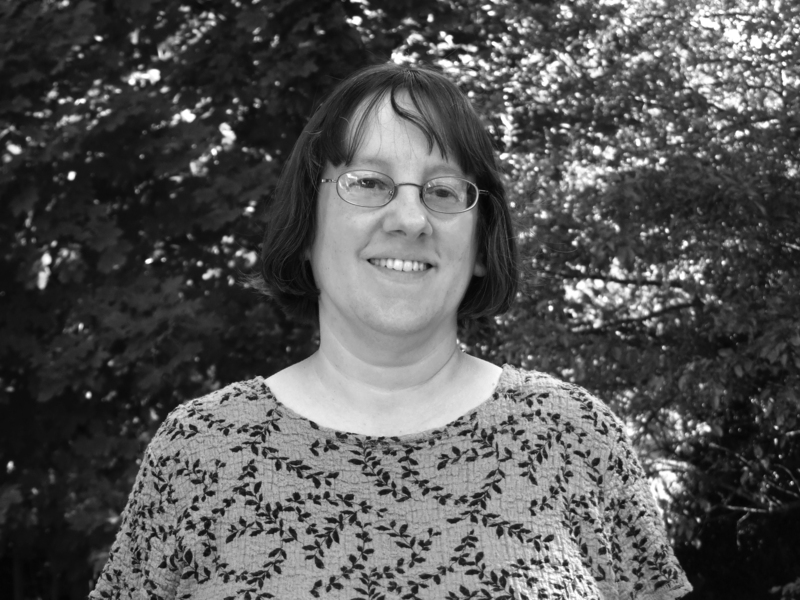 Exercise physiologists study how the body works and how stress affects different body parts. Sometimes it’s a mental block that’s keeping an athlete from doing his or her best. In that case, a sports psychologist will get into the athlete’s mind to find ways to solve the problem and motivate the athlete to succeed. And of course, there are doctors, such as orthopedists, who specialize in treating sports-related injuries. Are you good at negotiating? Do you enjoy complimenting people and suggesting activities they’d be good at? Do you have a strong imagination and a great sense of fun? Maybe you’re interested in the business side of sports. There are thousands of jobs managing teams, clubs, gyms, fitness centers, and other facilities. The team’s manager is responsible for getting athletes to play their best and win lots of games. Every team player signs a contract, so you could be a contracts manager, setting legal deals with new players on your team. Or you could be the agent who represents athletes and helps them get fair deals. Facility managers work at stadiums and other sporting venues, making sure the field is just right, the vendors are set up and ready to go, and everything is in place for the best fan experience. Talent scouts travel around the country, attending high school and college games, looking for hot, young players to sign. Then there are marketers, who promote teams and athletes and get the word out to the world about how great they are. A minor league team has to come up with fun promotions to keep the fans happy. All teams sell merchandise with their logos or names of their most famous players. Athletes do appearances to meet their fans and promote their team. All of these events are coordinated by the marketing department. If you have a head for facts and figures or can see the big picture as you manage players and teams, a career in the business side of sports could be just right for you. When Tony Hawk was a kid growing up in San Diego, California, he was so hyperactive that his parents had him psychologically tested. It turned out that Hawk was super-smart—his IQ was 144—but needed plenty of stimulation to stay focused. Hawk’s parents encouraged his interest in skateboarding as a way to burn off some energy, and the young teen thrived. He began going to competitions—and winning them. In 1982, when Hawk was just fourteen years old, he became a professional skateboarder. By the time he retired in 1999, he had become one of the most influential and well-known stars of extreme sports. But Hawk’s career was only just beginning. After he retired from competitions, he continued to be a big part of skateboarding. A video game series based on his skateboarding debuted in 1999 and became one of the most popular video games ever. Hawk also founded a YouTube channel called RIDE, licensed his name to shoes and clothing, and started a charitable foundation that has given away more than $3.4 million to build skateparks and help kids with economic disadvantages. Do you like to write? Do you want to be on television—but not sweaty on the court? Do you know how an f-stop affects the aperture? People wouldn’t know about sports teams and athletes if no one talked about them. Sports broadcasting and other forms of journalism are exciting ways to get involved in sports. Play by Play Sports Broadcasting Camp is a five-day summer camp for kids ages ten to eighteen. Participants learn about being television, radio, and internet journalists, and many have gone on to impressive success. Here are just two examples: Sarah Barshop, who attended a camp in 2007, hosts a radio show at Marquette University and works for ESPN Radio Milwaukee. Daniel Radov attended the camp for eight years and, when he was seventeen years old, won a city-wide contest to host a weekly radio talk show on Baltimore’s WNST. Camps happen in Atlanta, Baltimore, Boston, Chicago, Los Angeles, North Jersey, and Philadelphia. There are all sorts of jobs for sports lovers in this field. You can be a sports reporter for a newspaper or a magazine. What about writing your own blog or website? If you want to do more research, write longer pieces, or study past sports accomplishments and failures consider being a sports historian. Fancy a career in broadcasting? Radio and television stations need reporters to go to games, interview athletes and managers, and describe all the highlights of the big game to audiences at home. Are you good with a camera? You might consider a career as a photographer, capturing those breathtaking moments of triumph and drama for people around the world to share. Are you amazed at the sheer number of career options available to you as a sports fan or player? Great! Then this is the book for you. In these pages, you’ll find the secrets of career success in the sports world. You’ll look at a variety of different job options and find out what each includes, what school classes will prepare you for that career, how to get experience outside of the classroom to train you for the job, and how to get your foot in the door and actually get a job in that career. Along the way, you’ll meet and talk with lots of amazing people who have made sports their life, from coaches to managers, therapists to professional athletes, scouts to broadcasters. Before you take a fun quiz pointing out what sports career may be perfect for you, think some more about how long sports have been a part of human life. The first Olympic Games were held about 2,800 years ago in ancient Greece. Every four years, athletes would meet at Olympia. The first Olympics only had one footrace as an event. Later, other events were added, including boxing and discus throwing. When did organized sports start? No one knows the exact date, but it was definitely thousands of years ago. The first organized athletic events that we know a lot about are the Olympic Games, which were first held in ancient Greece way back in 776 BCE. These Olympics featured the greatest athletes from the Greek empire competing in footraces, throwing contests, and other events. Though we don’t know as much about other countries’ and cultures’ sporting events, we know they had them. The ancient Romans competed in chariot races and fight-to-the-death gladiator battles. Archaeologists found a stone ball and nine stone pins in an ancient Egyptian tomb, evidence of the sport we now call bowling. Lacrosse, one of today’s fastest-growing youth sports, was originally played by Native Americans centuries ago. Soccer may be one of the oldest sports, probably dating back to ancient Asia. Of course, people have been skiing, skating, and probably knocking a rock or some other hard object across the ice for as long as there have been freezing winters and heavy snow. Interest in sports in Europe grew during the Middle Ages. Tennis became popular with nobility during the 1200s. Golf and soccer also became popular in England. Horse racing, which was first organized during the Roman Empire, was an established sport in Europe by the late 1600s. During the 1800s, sports that had been played casually became more organized. During this time, official rules were developed, as well as leagues and championships. The first modern track and field meet was held in England in 1825. Meanwhile, in the United States, the 1800s saw the first American college football game (Rutgers versus Princeton in 1869). Old British sports such as rounders and cricket developed into America’s pastime—baseball—in the mid-1800s. An American gym teacher invented basketball in 1891. Golf, tennis, boxing, competitive swimming, and many other sports gained in popularity during the late 1800s and beyond. The most important message, I think, is to believe in yourself, you know, and go after whatever goals or aspirations you have with confidence. Athletic events have long been reported in newspapers and magazines and later on radio, television, and the Internet. The mid-1900s brought television to most American households, and that’s when professional sports really took off. People could watch sporting events from the comfort of their own homes, miles away from where the events were taking place. Watching America’s big four sports of the time—baseball, basketball, football, and hockey—became a nightly event in many homes, especially if the hometown team was in the championships. Other sports—everything from track and field to figure skating to auto racing—also attracted crowds at home and in the stands. Professional athletes became celebrities and figures to be admired by children and adults alike. Of course, amateur athletes got their due as well, especially if they played on college teams or were featured at the Olympics. People weren’t just watching sports during the twentieth century—they were taking part in them too! At least boys were—participating in Little League baseball, Pop Warner football, and many other team sports became a normal and expected part of many little boys’ childhoods. For centuries, girls did not participate in most sports at all. Tradition said that it was unattractive and unnatural for females to be athletic, and society certainly didn’t consider participating in sports a feminine trait. Females slowly became part of certain sports, particularly golf, tennis, ice skating, swimming, and track and field. Girls did not have as many opportunities in sports until Title IX was passed in 1972. This landmark government legislation made it illegal to discriminate against females in sports and gave a lot more money to schools and community organizations in order to fund physical education and sports programs for girls. It also opened the door for girls to play Little League and other all-boy sports and, eventually, led to powerhouse women’s teams in many college sports. Women also found more opportunities to play professional sports. The Women’s National Basketball Association (WNBA) formed in 1997, and there are also professional women’s teams in soccer, softball, and other sports. The line between amateur and professional sports used to be crystal clear, but in recent years it has started to blur. The Olympics were once the high point of amateur athletics. Not only were none of the athletes who participated paid for going to the Olympics, but they weren’t allowed to be paid for any athletic events or commercial endorsements even outside the Olympics. However, some countries paid for their athletes to train and compete, essentially making them professional athletes since they didn’t have to work outside of sports for a living. Slowly, professional athletes from all over the world began to play in the Olympics. In 1992, one of the most talked-about teams in the Summer Games was the US men’s basketball team, or the Dream Team, which featured basketball superstars from the NBA. The days of amateur-only Olympics were over. Never limit yourself, never be satisfied, and smile—it’s free! The worldwide love of sports has made becoming a professional athlete a dream for many young people. However, the harsh reality is that most kids who are really good at sports will never achieve the high-profile status of major league stars. Still, there’s nothing wrong with a dream, and there’s no harm in knowing how to make the most of your chances if you want to be a professional athlete. Take this quiz and see what sports career could be the best fit for you. Early Olympics included some events we’d consider odd today, such as ballooning, obstacle-race swimming, and pole climbing. If you answered mostly A’s, you’d probably be great at a career in media, whether it’s broadcasting or announcing a game, writing articles or books, or taking photographs. If you answered mostly B’s, think about a career in management, business, or agenting. If you answered mostly C’s, you should explore a career in sports medicine, fitness training, or personal training. If you answered mostly D’s, you’d be happiest playing sports for a living. If you answered mostly E’s, you have a great personality for coaching or teaching. If you answered mostly F’s, you would probably enjoy a career as an archivist or sports historian. Now that you have an idea what you might like to do, it’s time to explore all your options and see how to steer your life where you want it to go. On your mark, get set, go! 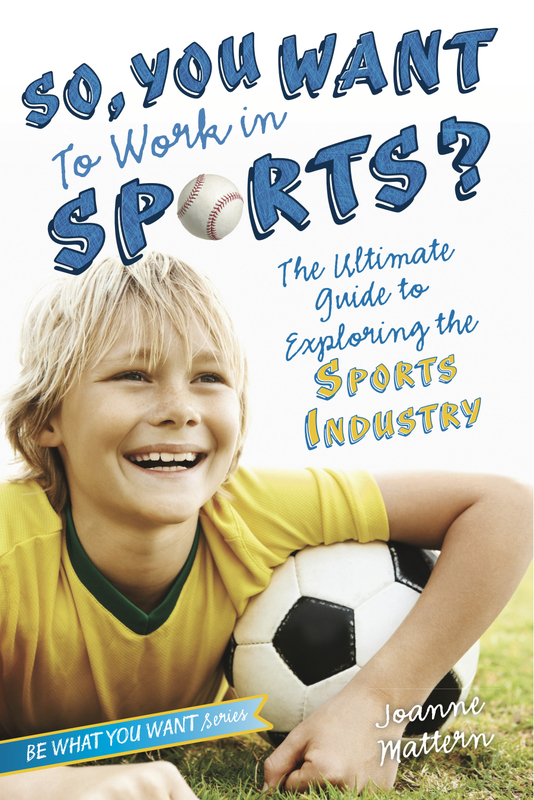 Book Cover Image (jpg): So, You Want to Work in Sports?